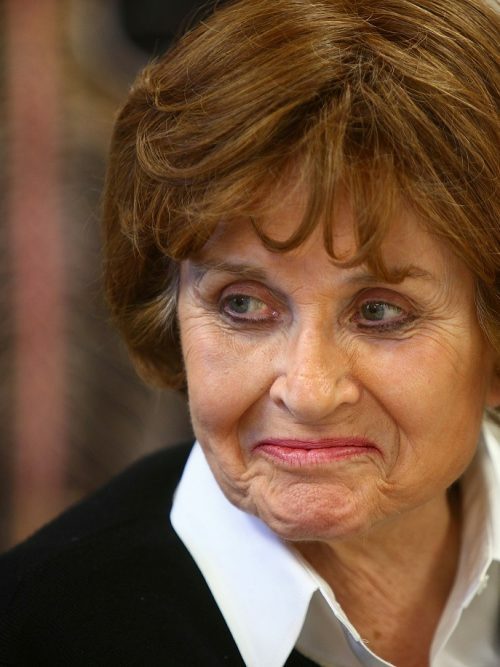 WASHINGTON – Rep. Louise M. Slaughter, a Rochester-area Democrat who represented parts of Buffalo for a decade and who left a legislative legacy on issues ranging from health care to government ethics, died early Friday at the George Washington University Hospital. She was 88. Slaughter died about a week after she suffered a fall and a concussion in her Washington home. First elected to Congress in 1986, Slaughter represented a series of Western New York districts over the years, rising over time to be a leading liberal voice in the House and a confidant to Minority Leader Nancy Pelosi, D-Calif.
Pelosi said she and her husband, Paul, were heartbroken to hear of Slaughter's death. “It was my great privilege to serve with her and to benefit from her friendship and wise counsel for 30 years," Pelosi said. House Speaker Paul Ryan ordered the flags at the Capitol lowered to half-staff in Slaughter's honor. "This is just jarring," said Ryan, a Wisconsin Republican who called Slaughter "a giant in the People's House." "She was unrelenting in fighting for her ideas and the people back home in Western New York," Ryan said in a statement. "But really, the thing that I keep coming back to is how she was tough, but unfailingly gracious. She was simply great." Slaughter was the first woman to ever chair the House Rules Committee, the powerful panel that serves as the gatekeeper that plans legislation that goes to the House floor. But she is more likely to be remembered both for the legislation that bears her name and her feisty fight for progressive values, delivered on the House floor and in the Capitol hallways in a lilting drawl that echoed of her native Kentucky. 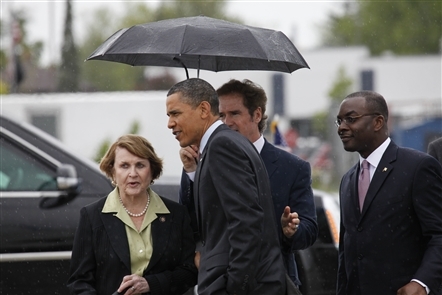 “To have met Louise Slaughter is to have known a force of nature," said Liam Fitzsimmons, Slaughter's chief of staff. Two landmark pieces of legislation bear her name. A microbiologist by training, Slaughter fretted for years that as science progressed and the human genome was decoded, average people would find themselves discriminated against if they had genetic markers that indicated they would be likely to get cancer or another grave illness. So she fought for more than a decade for legislation barring such discrimination, and Congress finally passed her bill, the Genetic Information Nondiscrimination Act (GINA), in 2008. Similarly, Slaughter long was aghast that her colleagues could buy and sell stocks without their constituents knowing in real time what was happening. So she fought for – and won – passage of the Stop Trading On Congressional Knowledge (STOCK) Act of 2012. The bill, which requires lawmakers to quickly discuss their stock trades, led to revelations about Rep. Chris Collins' investment in Innate Immunotherapeutics, currently the subject of a House Ethics Committee investigation. An aggressive politician who was never afraid to voice her differences with other lawmakers, Slaughter nonetheless won the respect of her colleagues on both sides of the aisle. "We loved and admired Louise Slaughter," former President Bill Clinton and former Secretary of State Hillary Clinton said in a statement. "She was a force to be reckoned with on Capitol Hill -- skilled and smart, funny and fierce." Vice President Mike Pence, a conservative Republican who stood on the opposite side of Slaughter on practically every issue when they served together in the House, nevertheless called her a friend and "a passionate advocate for her beliefs and a valued member of the U.S. House of Representatives." Rep. Brian Higgins, a Buffalo Democrat, lauded Slaughter's "extraordinary" 47 years in elected office. "She was a strong and respected leader in the House of Representatives and a passionate advocate for the community she represented and loved," Higgins said. Slaughter will be remembered, too, for her sharp wit and eclectic way of thinking, which often carried her from one topic to the next and then another in lightning-fire conversations that tended to end with laughter. Her eclectic way of thinking showed in her work, too, which covered an array of issues. Slaughter was long one of the House's most outspoken advocates of abortion rights and equal rights for women. She was the first major public figure to highlight the dangers posed by the overuse of antibiotics in farm animals. And in 2006, when she learned that 80 percent of American soldiers who died in Iraq due to upper body wounds could have survived if they had better body armor, Slaughter secured the recall and replacement of 16,000 pieces of unsafe body armor from the front lines. "With her training as a scientist, Louise fought for fairness and led the way on the major issues of our time, from environmental preservation to women's rights to attracting 21st century jobs in cutting edge industries like photonics," said Gov. Andrew M. Cuomo. Slaughter's legislative record -- and her memorable mix of Southern charm and New York snark -- led to an outpouring of condolences for Slaughter on Twitter. Sen. Bernie Sanders, a Vermont Independent, said he was proud to have worked with her, adding: "Throughout her career, Louise was a leading figure in the fight for economic, social and racial justice." Sen. Elizabeth Warren, a Massachusetts Democrat, said: "Louise Slaughter was more than a trailblazer – she was a force for good." Rep. Mark Meadows, a North Carolina Republican who chairs the hard-right Freedom Caucus, called her "a wonderful colleague." Similarly, Pelosi recalled Slaughter's personality as well as her persistence. "She brought the grace and grit of her Southern background to her leadership in the Congress, building bridges and breaking down barriers all with her beautiful accent," Pelosi said. A former blues and jazz singer, "Louise could be fiercely debating on the floor in the morning, and singing in harmony with her colleagues across the aisle in the evening," Pelosi added. Rep. Tom Reed, a Corning Republican, also issued a statement praising Slaughter. "Louise worked tirelessly to help improve the lives of those in the Rochester region and Western New York," Reed said. "It was an honor to serve in the House with her over the years. My deepest sympathies go out to her family. She will be missed." The daughter of a blacksmith from Harlan County, Kentucky, Slaughter was a trail-blazer at an early age, earning a bachelor's degree in microbiology and a masters of science in public health from the University of Kentucky in the 1950s, when relatively few women entered the sciences. She moved to Fairport, in Monroe County, after graduate school with her husband, Robert "Bob" Slaughter, and started a family. Then, in her 40s, Slaughter went into politics, serving in the Monroe County Legislature from 1976 to 1979, as Rochester-area coordinator for then-Lt. Gov. Mario Cuomo from 1979 to 1982 and in the State Assembly from 1982 to 1986. She started her congressional career in a Rochester-based district that stretched as far west as Genesee County, and began, as many lawmakers do, with a focus on bringing home the bacon. Over the years she brought two manufacturing institutes to Rochester, as well as funding for a new train station. Redistricting stretched her district westward into Buffalo and Niagara Falls in 2002, and she quickly became a strong voice for the Niagara Falls Air Reserve station and other local projects. She also had long been one of the leading voices for aviation safety in the wake of the 2009 crash of Continental Flight 3407 of Clarence, and continued to work with the Flight 3407 families long after yet another redistricting meant that she no longer represented the Buffalo area after 2012. "Congresswoman Slaughter was a fierce advocate for Western New York and the progressive, Democratic values of New York State," Buffalo Mayor Byron W. Brown, chairman of the state Democratic Party, said. "Her compassion was boundless, and her tenacity was inspirational." She also groused, on occasion, that Buffalo's byzantine political culture seemed to stand in the city's way – while proving to be something she needed to maneuver around. Meanwhile in Washington, Slaughter continued her work on the Rules Committee, where she forged a combative but close relationship with Rep. Pete Sessions, the Texas Republican who chairs the panel. "Louise was a fearless leader, deeply committed to her constituents, and a dear friend," Sessions said. "I have had the immense privilege of working side by side with her for the past 20 years. I will always cherish our friendship, camaraderie, and of course her rhubarb pie." Slaughter was the oldest sitting member of the House and the dean of the New York delegation. She suffered mobility issues after breaking a leg in a 2012 fall, but continued to work at a relentless pace, first maneuvering the Capital hallways on a scooter and later with the help of aides. For years, her husband Bob played an important role in her congressional career. Always nattily attired with his trademark bow tie, he acted as her driver throughout her many Western New York appearances. Bob Slaughter died in 2014 at the age of 82. A leading liberal voice in the House, Slaughter often expressed a desire to never retire, and she had planned to run for a 17th term this fall. Slaughter's office said details on funeral arrangements are not yet available. Slaughter is survived by three daughters – Megan, Amy and Emily – and seven grandchildren. “Congresswoman Louise Slaughter was a giant," said Senate Minority Leader Charles E. Schumer, a New York Democrat. "Throughout her entire career, Louise worked with people from so many different philosophies and backgrounds, because she was such a genuine human spirit. The ferocity of her advocacy was matched only by the depth of her compassion and humanity." Meanwhile, Sen. Kirsten E. Gillibrand, also a New York Democrat, said: "Louise devoted her life to serving the Rochester community, she never wavered in her fierce defense of our shared values as Americans, and she was one of the kindest and most compassionate colleagues I’ve ever had ... Louise will be remembered as one of the great, pioneering women in our country’s history, and it was an honor to serve alongside her in Congress."